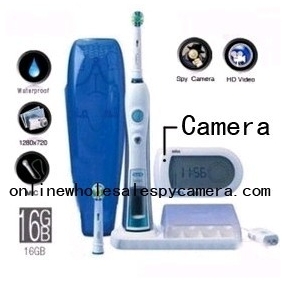 This is a famous brand electric toothbrush. 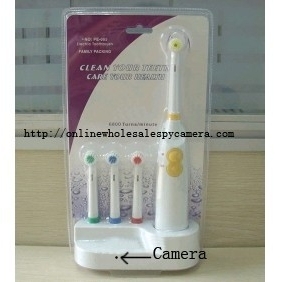 Based on the function of brushing teeth, it is added a wonderful function of being a professional spy pinhole camera. 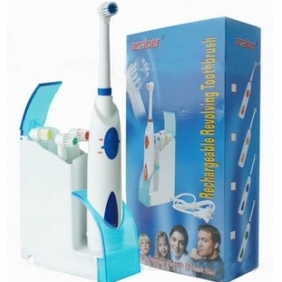 From its appearance, there is no difference between it and the ordinary electric toothbrush. But there is a pinhole camera hidden inside, so this product has the function of shooting. More surprised, the camera is so tiny and its position is so secret that it won’t be noticed when it is shooting. That’s good for shooting something secretly. 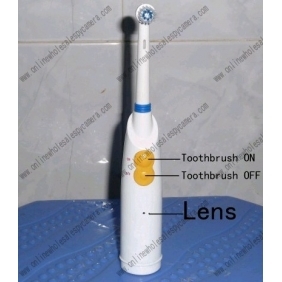 You can put it in the bathroom; use it to brush teeth as normal electric toothbrush. It is waterproof, so the camera can be protected well. 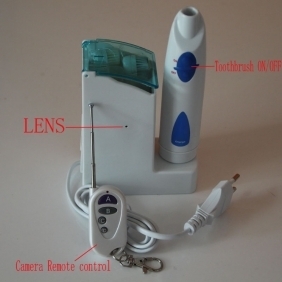 When you use it to shoot the video, there is no impact for you using its function of brushing. You can do these two things at the same time. Apart from its large capacity battery, there is a 16GB memory card built in itself, you don’t need to plug in another memory card and it can work last about 8 hours. To improve the quality of the videos, the camera’s resolution is up to 1280x720. If you want to get the most authentic evidence for a variety of illegal behavior, this spy camera is a good helper. 1.Pinhole camera helps it to be a spy camera. 8.Video file size:5M per min. 1. 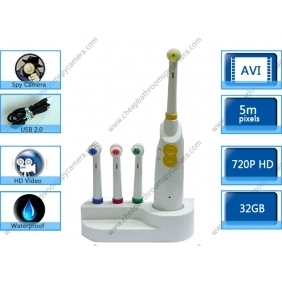 Sound technology, mobile cleaning power, strong clean teeth. 2. Five kinds of brushing modes: A. gums mode. B. cleaning mode. C. Speed​​-cleaning mode. D.- sensitive mode. E. Massage mode. 3. ProResults toothbrush head, designed to better fit your mouth. 5. 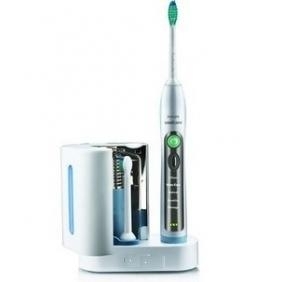 UV disinfection, ultraviolet disinfection technology helps kill toothbrush head 99% of bacteria and viruses. 7. Universal voltage 100-240V International.